Perfect for the little ones who love their Utah Utes! Featuring the athletic logo and a cursive Utah printed on the front. 65% Polyester, 35% Rayon. Imported. 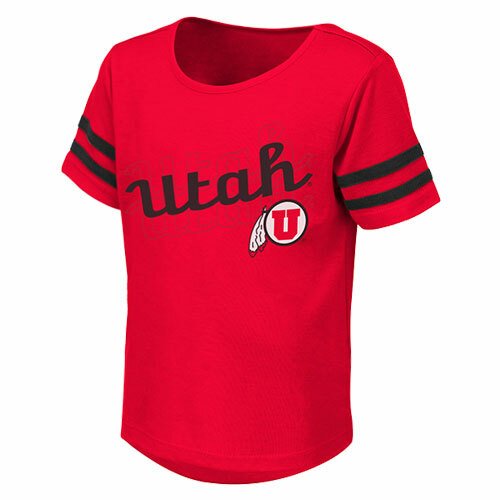 Please select option for Utah Utes Cursive Athletic Logo Toddler Tee.